Nathan Waters is an Australian strength coach and BioPrint practitioner at THP - Total Health Performance. 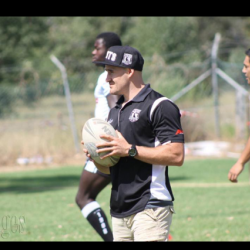 He is head coach of the Western Suburbs Rugby League Football Club where he was once a player and club captain. Nathan and his partner Gemma Smith began THP - Total Health Performance in 2014 and have trained many athletes with great success coaching Bruno Alves the 2016 BJJ World Champion and also Igor Almeida a 3rd place finisher at the Abu Dhabi World Championships. They have also trained former NRL players, up and coming rugby league players, swimmers trying to qualify for the Rio Olympics, and a former national BMX champion. With a passion for helping people they are also working with clients who have Parkinson's, scoliosis, cystic fibrosis and many other types of health issues through nutritional guidance and exercise programs conducted by Gemma Smith who is an exercise physiologist and exercise scientist.